Strong thick 100% leather braided western design belt. 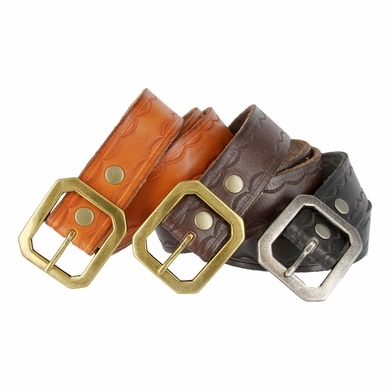 Western Engraved Solid Metal buckle with a full grain western tooled braided leather belt. Sizing: Measure Around where you wear the belt, with your pants on, and order that size.